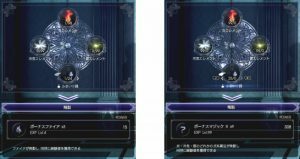 Detailed information on how to efficiently earn EXP to increase level for the early stages of the game in FF 15 (Final Fantasy 15). Boosting spells require not only elemental energy but also gathering materials. EXP Boosting Spells to be more specific require certain materials to provide the additional effect of adding more EXP. To add this particular effect to the spell, you should farm Debased Coins. You can obtain them early in the game as treasure items on the map. Fortunately, these coins respawn. In other words, you can farm this material for more than once from the same location per day. Aside from the Debased Coin, the other coin-type material that you may choose for crafting spells are Rare Coins. Focus on farming Debased Coin instead as you can’t easily farm for Rare Coins. When crafting spells, the EXP level when refining with magic will increase as you increase the number of Debased Coin materials used. For example, at level 1 you will gain EXP and reach level 4 after using 1 Debased Coin and executing an the boosting spell. The required bonus magic number will also increase. With a cap on using 25 Debased Coin materials, you can reach level 99 in no time. With this amount of Debased Coins, the boosting spell can be performed for a maximum of 9 times. As your level goes up, the experience you can earn using the boosting spell will also go up. Keep in mind that if you increase the number of elemental energy, it is only the tier of the spell that will increase. Therefore, if your only concern is to grind for EXP, you can simply leave the number of elemental energy set to 1. On the other hand, if Power goes up, this would allow you to defeat an enemy easily. You should increase power up to its maximum. The additional effect gained is more EXP received during combat which does not require more enemies to be defeated. This makes grinding for EXP using the boosting spell during the crime’s crime request near Gardena Watching Fountain profitable as not only will it reward EXP but also gil for finishing the quest. Since Debased Coins are required for each time the EXP boost spell is crafted, the only problem is farming for them since the spells need to be maintained after the maximum number of use has been achieved. EXP gained depends on EXP obtained when crafting. Whereas, Total EXP can be obtained by multiplying EXP by number of spells cast. Efficiency can be obtained by taking the total EXP and dividing it by the number of Debased Coin used. It can be summarized from the table that as EXP level goes up Efficiency also goes up. In other words, farming more Debased Coins is more efficient. However even if more Debased Coins are consumed when crafting, you can perform the spell for only 9 times. So even if EXP gained goes up, the amount of boosting spell usage maintains at the cap (9). This could translate as decreasing efficiency. Therefore the rule should be that, increasing the number of Debased Coins should only be up to the point that it is still increasing in efficiency. This can be seen when comparing the 24th and 25th Debased Coin requirements. Thus it is recommended to go for 24 Debased Coins instead of 25 as both of them are capped at 9 total usage each. In Final Fantasy XV, the EXP gained does not immediately show on the status page. In order to add the EXP to gain levels, you need Lodgings. Lodgings can be classified as camps, caravans, motels and high class hotels. Camping is the easiest option since this method is not only easy to execute but is also free of charge, the only downside is that it doesn’t have any bonuses. Alternatively, staying at the High Class Hotel (Gardena Watchingfield) nets double the experience. This means you earn double the efficiency, where 24 Debased Coins will reward almost 250,000 experience points. However, staying at the hotel requires a payment of 10000 gil. For this game, the price is very expensive relative to the amount of experience earned, and the only way to accumulate this much gil is being able to progress far in the Main Story. The best way to earn EXP is staying at the Langa Wita Motel as it only costs 300 gil and grants 1.5 times the experience gained. I am, right now, testing and putting 28 Debased Coins into my spell and it gives me 10 spells to cast, at exp bonus lv 99. I do not think there is a cap. However the efficiency of such a craft (as you define it) is 4957.85. Using a calculator to check theoretical increased numbers of coins and the corresponding increased numbers of spells has the efficiency continue to decrease. Also, Debased Silverpieces and Debased Banknotes also give exp, but like Rare Coins, are not easy to farm. Galdin Quay also gives 2x exp, and is accessed much earlier in the story. It still costs 10,000 gil, though, but that’s easy to farm for.